Government ministers from Ireland, India and Canada joined relatives and friends in west Cork today to remember the victims of the Air India crash. 329 people died when a bomb exploded on board the flight from Montreal to London. The plane was 180 miles southwest of Ireland when the explosion occurred. Today is the 25th anniversary of the bombing. Canadian Prime Minister Stephen Harper is to issue an apology to the families of those who died later tonight in Toronto. Canada has acknowledged that it made many mistakes in the lead-up to the bombing and in the subsequent investigation, which saw one person convicted. 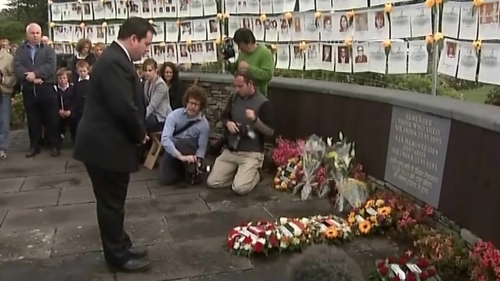 Speaking in Cork today, Canada's Immigration Minister Jason Kenney said the victims' families will now be compensated.